Once again we are ready to take you by the hand for a trip down memory lane, and today we are looking almost 20 years back in time. The rather interesting design is kind of a tell that we are looking well back in time for this one. 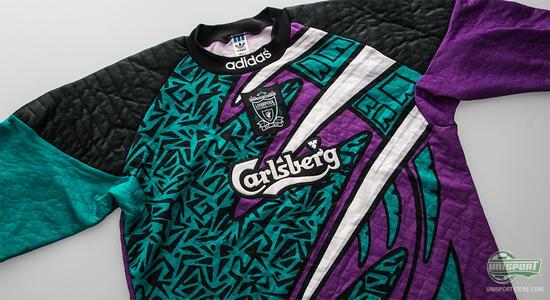 We are looking at a matchworn Liverpool goalkeeper shirt from the 1995/1996 season, where the reds almost managed to win the league. 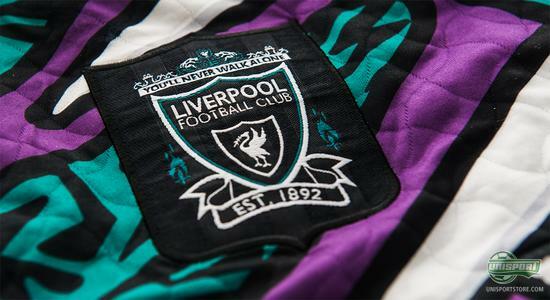 Back around the mid 90's, Liverpool were among the absolute top of the premier league, but in the 95/96 season they had a very young team, and although they scored goals at their leisure, they also suffered from some defensive issues. The gentleman who wore this shirt, knows about the issues better than most; it's the former goalkeeper for the English national team, David James. From 1992-1999 he was guarding the goal for the Merseyside club and this means that he was 'fortunate' enough to wear shirts like the one we are going to take a closer look at now. 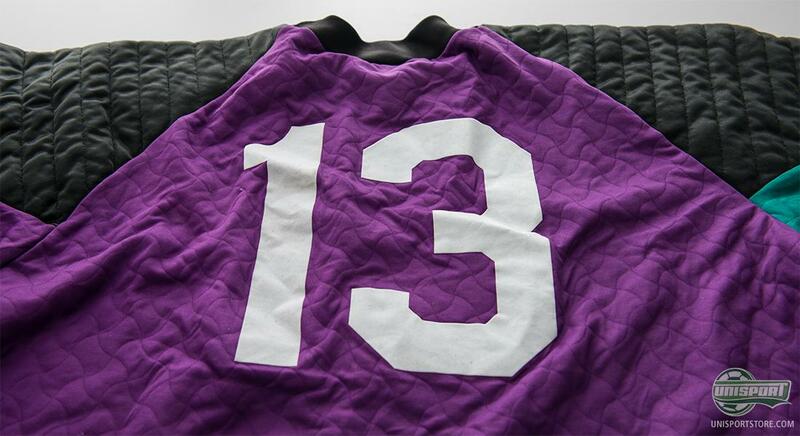 With number 13 on the back, David James guarded the goal, which he managed to do no less than 214 times for Liverpool. Liverpool is hereby the club that he has had the most appearances for, by far, almost double the number of appearances compared to the runner up, Portsmouth. The 194 cm tall keeper was, together with a range of the other stars from the club, a part of the group know as spice boys who were known to maybe focus a bit more on partying during the weekends than winning football games. There is also no holding back regarding the design of this goalkeeper shirt. 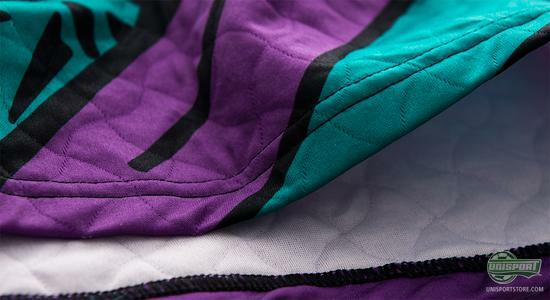 A kaleidoscope of bold colours and patterns and today we can clearly see that this is a shirt from the 90's. 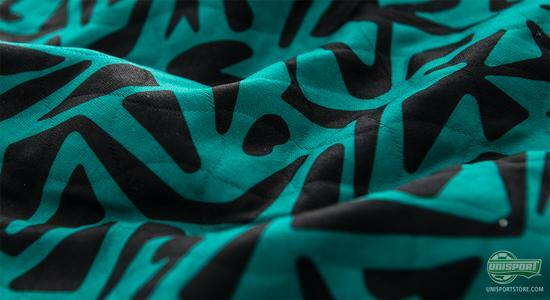 Really, it isn't all that strange taking the style of those days into account, but we will have to say that this shirt will not win any best looking shirt competitions around here. With that being said, the shirt does have it's charm and surely a lot of Liverpool fans would go to great lengths to secure a shirt like this for their collection. Liverpool had one of the most promising teams at the time with players such as Robbie Fowler, Steve MacManaman, Stan Collymore and, of course, David James. Anyhow, they didn't manage to transfer the great potential into top results. They took the third spot in the Premier League, after Newcastle on the second spot and Manchester United taking the top spot that year. It was also the rivals from Manchester who beat Liverpool in the FA Cup final as a volley from Eric Cantona decided the game. 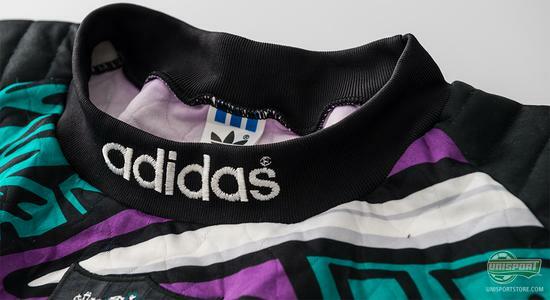 The shirt was produced by Adidas who have been associated with the club for long periods of time. Today, it's a different story, but the Liverpool shirts have been among the most popular this year and it will be interesting to see if they will have the same success next season. 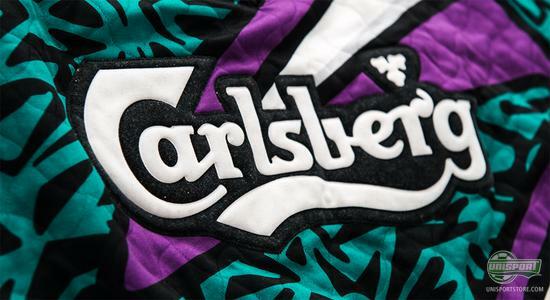 One could also imagine that many Liverpool fans would like to see Carlsberg back in the sponsoring role; is there a cooler graphic logo for a football shirt than Carlsberg? Liverpool have always been in the spotlight thanks to the club's impressive fan support and therefore, there is also a lot of attention and pressure towards their shirt design every year. Maybe this keeper shirt was not a design pearl, but that was back in 90's of course. What do you think of the shirt? Is it way off or right on the money? Feel free to share your thoughts in the comment box below.